Mistakes are a fact of life. We all make them. I’ve made many mistakes during my 37 years on Earth. The important thing is that you learn from them. Beauty mistakes are no different. We try out different tips and techniques. Sometimes they work beautifully while other times not so much. Some of my own personal beauty mistakes are quite funny now, but I was mortified at the time. During the summer and fall of 2000, I was wearing the wrong shade of foundation. It may not seem like that big of a deal, but it was quite noticeable. I had tanned skin that summer and didn’t change the shade of my foundation to something darker to match my skin. My face was white as a ghost. In the pictures, I look like a mime. I can laugh now which is why I’m ok with showing you my faux pas! This picture inspired me to write this post about my top 10 beauty mistakes and what you can do to fix them. Some of these mistakes can actually make you appear older than you are. Maintaining a youthful appearance is important to me so I also strive to follow my own advice. 1. Don’t wear thick, heavy foundation that is the wrong colour. If you do, you may look like me in the photo above. Wearing too much foundation can make you look older than you are. Go for a light, natural look. 2. Match your foundation to your skin on your jawline instead of your hand. Sometimes it’s hard to tell if a foundation is the right colour for your skin. The skin on the back of your hand is not the same as the skin on your face. When trying a new colour, test it with a swipe on your jawline to see if it’s a match. 3. Don’t apply your makeup in artificial light. I’ve applied my makeup in my windowless bathroom and think I look fine. Then I go to the mirror by my front door and see a completely different picture. I’m a hot mess! Try to find a natural source of light to apply your makeup. I like doing mine near my big living room window. 4. Stop pumping your mascara wand. It will not make it last longer and in fact, dries it out because you’re pumping in air. No one likes clumpy lashes! 5. Skip the mascara on your lower lashes. It highlights crow’s feet. Apply it your upper lashes to make your eyes pop! 6. Don’t apply your perfume when you’re fully dressed. Perfume needs to be applied directly to your skin to blend in and create your own unique scent. Plus, it can stain your outfit. 7. Don’t wash your face in hot water. It’s too harsh on the delicate skin of your face and can dry it out. Use lukewarm water instead. 8. Moisturize, moisturize, moisturize! I used to think that my oily skin didn’t need a moisturizer. I was so wrong. Not moisturizing your oily skin can make your skin even more greasy. It’s true. Your skin will compensate by producing more oil. My skin was less greasy once I started moisturizing. Now, it’s a crucial part of my beauty routine. 9. Don’t wait too long to start thinking about anti-aging. I get it. You’re young and aging seems like a process that is far in the future. However, it creeps up fast and sometimes, sneakily. One day, you’ll wake up seemingly overnight with a noticeable wrinkle around your eye. I know from experience. Be proactive and start now to combat the early signs of aging. 10. Don’t skimp on serum. 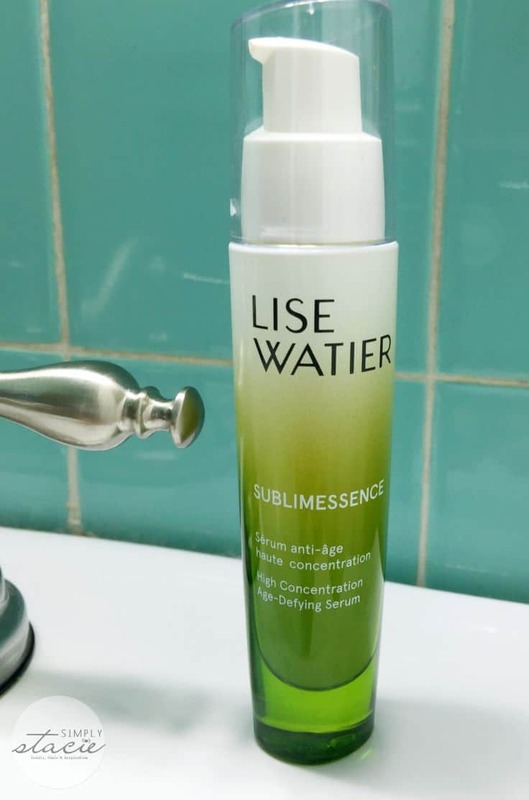 Use a good quality anti-aging serum like Lise Watier Sublimessence High Concentration Age-Defying Serum and stick with it! Consistency is key to a beauty regimen. Sublimessence helps rejuvenate skin giving it a smoother texture and radiant complexion. It contains the high potent Labrador Tea Extract, a Canadian antioxidant and is boosted with an Active Cell Infusion Complex and light reflecting pigments. Over the past month, I’ve been using Sublimessence daily and have noticed big improvements in my skin. It’s less blotchy and has a more even skin tone. Plus, it’s diminished the wrinkles that were starting to form around my eyes. Aging is inevitable, but I’m glad to have Sublimessence in my beauty arsenal to help my skin looks its best! What was your biggest beauty mistake? Because it gets so cold here, I need to make sure I moisturize every day! The dry air really does a number on my skin. Thanks for sharing this. I really had no idea that you weren’t supposed to use artificial light when you put on your makeup. I’ve been using a lighted makeup mirror for years. 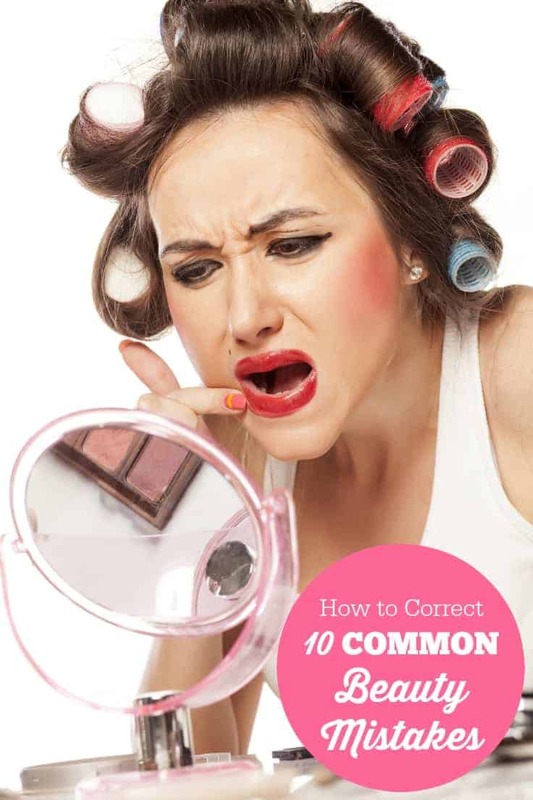 Thank you for informing me about these common beauty mistakes. This serum looks like it works wonderfully from your picture. I’m guilty of some of these. I think the worst thing I’ve done is put makeup on in too little and artificial light and totally freak when I saw my handiwork in the fresh air!!! Eek!!! My biggest mistake is taking to long to use anti-aging products. I use them now, and I put on too much mascara because I have a heck of a time getting it off and I lost some of my lashes. I am putting it on less now! And I stopped using an eye lash curler. They really pull out the lashes. I hardly ever wear make up, but when I do at least I know that I am doing something right. I never put mascara on my lower lashes, for me it is because I rub my eyes a lot and the lower lashes don’t last. Thanks for sharing this with us. I had no idea that you weren’t supposed to wash your face with hot water. I’m guilty of most of these! It’s probably too late for the anti-aging product! I’m already classified as vintage! I’m guilty for applying perfume at the end of my getting ready routine. I guess I’ll have to change that step and do it earlier in my routine. Until recently I hadn’t given make up or beauty a second thought. So this is great, it’s so helpful and I need to remember #2 bc I did it on my hand and guess what? It’s too dark for my face. Wasted so much money! You just blew my mind with that third tip. Sublimessence sounds like a great product to add to the routine too. 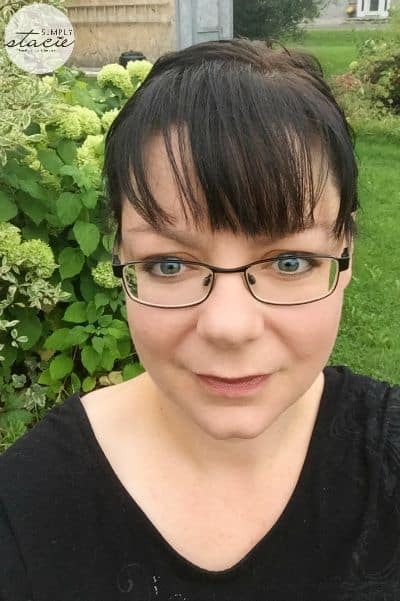 I’ve never really been one to wear make-up, as a teen yes but not since my early 20s. I follow so many of these tips! I’ve been really curious about Sublimessence, you just kicked that up a notch.. my skin is also blotchy. My biggest mistake is not drinking enough water to keep my skin hydrated and moisturizing like I should. Great, great tips here! I especially like the ones about foundation. There is nothing worse than a foundation that is the wrong color or showing a line. Shared these tips with my daughter, thanks! As a teen I wore lipstick that just made my lips look like a beacon on my face! Thanks for a refresher on great makeup tips. These are great fixes to beauty mistakes. I can laugh now looking back on some of mine from my teens. These are all things i have done at some point. I always pump my mascara. I will have to remember these the next time i do my makeup. I have made a few of these mistakes this week. I always do my makeup in natural light. I will have to stop pumping my mascara. I like mascara best on just upper lids, too. I think it looks like old Hollywood glamour! Great tips. Definitely need real light. Those are great tip I try to never put on my make up in artificual light! Thanks for the tips! Every woman loves to look her best! tip 5 had no idea I have such horrible short thin lower lashes so always been a pain to do the, and now I don’t have too!! I never heard of “skipping the mascara on your lower lashes”. Good to know. I do NOT want to highlight my crows feet. Oh, these are good to know. I am so guilty of numbers 4 and 5. Lighting is so tricky. What looks good in one place, doesn’t look that great elsewhere. You nailed it when you talked about artificial light. Sublimessence seems to have the right ingredients to help aging skin. My biggest beauty mistake is sleeping with my makeup on! I’m trying to remember to take it off every night! Great tips! I dont think people think about the fact you may need a different colored foundation depending on the time of year!